An all-in-one base coat, nail strengthener and top coat that leaves nails with a high gloss finish. It`s great for airbrushed nails and as a sealer for nail art. 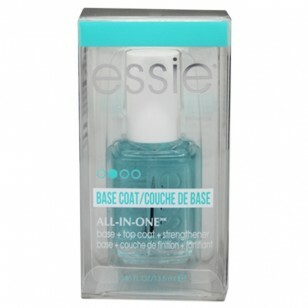 Usage: Apply as base coat on clean natural nails, then apply 2 coats of your favorite Essie nail polish. Finish by applying as a top coat.